SANTA MONICA, CA – Based on the best-selling memoir written by Jeannette Walls, Oscar® winner Brie Larson (2015, Best Actress, Room) and Oscar® Nominee Woody Harrelson (2009, Best Supporting Actor, The Messenger) star in The Glass Castle, arriving on Digital HD October 24and Blu-ray™ (plus Digital HD), DVD and On Demand November 7 from Lionsgate. Hailed as “one of the must-see movies of 2017” (Vanity Fair), The Glass Castle chronicles the adventures of a young girl growing up in a dysfunctional family of nonconformist nomads. From the producer of The Shack and The Blind Side, the film also stars Oscar® Nominee Naomi Watts (2012, Best Actress, The Impossible) and Golden Globe® Nominee Max Greenfield (2013, Best Supporting Actor – Television, “New Girl”). 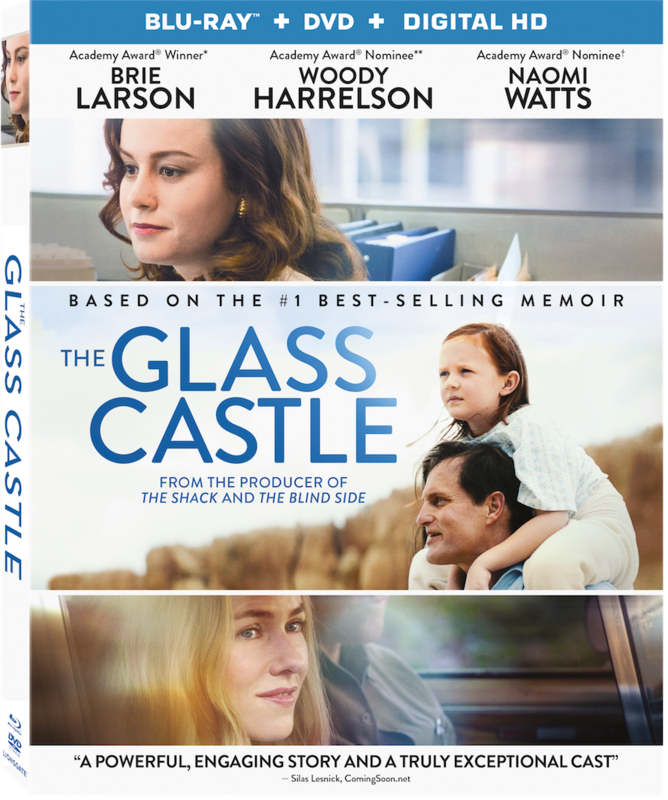 Title Copyright: The Glass Castle, Artwork & Supplementary Materials © 2017 Lions Gate Entertainment Inc. All Rights Reserved.